If you carry the BioProtect Card with you, it will absorb any electrosmog from the environment, such as from a mobile phone, computer, WLAN/Wifi, any wireless system or the general electricity supply in a house. If the card is placed on a desk, then the protection from mobile or home wireless phone, WLAN or other higher frequency electromagnetic smog is reaching up to 10 meters from the card. The card must, however, be placed horizontally on a flat surface. If the BioProtect Card is carried not more than 5 centimeters away from the body, then it will also have an energetically positive influence on the body. Very sensitive people may feel this influence as being too strong. In this case, it is recommended to wear the BioProtect Card only for a shorter time and then place it somewhere on a flat surface. If you have put the BioProtect Card aside for a longer period, and you were exposed to electromagnetic smog, then it is enough to touch the card with the fingers for 2 seconds to neutralize that radiation. Figuratively speaking, the BioProtect Card produces a shield against higher frequency longitudinal waves. 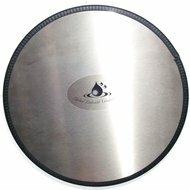 The shield has the shape of a dome of about 10 meters in radius. This dome-like shield forms only, if the card is placed on a surface so that the spiral structure inside the card has a reciprocal effect with the earth's gravitational field. The oscillation information that is contained in the color on the back side of the card is effective independently of the orientation of the card, but its effect radius (for lower frequencies, such 50-60 Hz) is just about 5 centimeters. 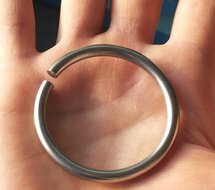 However, this effect can be extended through electrically conducting media to a distance of about 50 meters. Instead of carrying the card on the body, you can also attach it directly on the devices that create electromagnetic smog, for example on the casing of a PC, on the back of a monitor, on the back or on top of a TV, on the housing of a microwave oven, etc. This is the most simple and secure application. If the housing is made of plastic, and the distance to the parts that carry electricity is getting too big, then you can fixate the card to the mains cable. This will always work and is safe as well. Electromagnetic smog that comes into the house through the electricity cable from outside can be neutralized, when you place the BioProtect Card on the box of the electricity counter or on the fuse box. All lamps and electrical heating devices will be free from electromagnetic smog. This includes also halogen lamps that have an electronic transformer. An even better solution is to place the card onto the incoming mains power line of the house. With this, you will free additional devices from electromagnetic smog, such as TV sets, PC's, electro-motors, etc. However, to be sure, you should separately take care of the base station of a wireless home phone system, by placing a card underneath it. If you know that your apartment or house has some geopathogenic irritation zones (this includes water veins and fault lines), and you know the exact location, then you can neutralize the negative effect within a radius of about 10 meters. For this you will need to place the BioProtect Card exactly over the zone. Note that if you place the card just a few centimeters away from the zone, then it will loose its effectiveness in this regard. If you don't know exactly where the zone is located, then it is better to carry the card on the body. Wel wat maar niet echt veel.kan bij een ander wel werken maar voor mij is het minimaal. 5 Bioprotect card for protection against radiation. Altijd snel geleverd! Prima service 5 Bioprotect card for protection against radiation. Sinds de bio kaart op mijn computer ligt, heb ik me na een dag werken nooit meer zo 'raar' gevoeld als voorheen. Dat is heerlijk. 5 Bioprotect card for protection against radiation. Ik vind het lastig te zeggen of ik verschil voel met of zonder kaart. Toch voel ik me meer beschermd zeker op mijn werk, ik zit de hele dag achter de computer. Snachts leg ik hem in de meterkast. Misschien snachts eens op de wifi leggen. Nog even wat dingen uitproberen. 4 Bioprotect card for protection against radiation. Al jaren heb ik bioprotect kaartjes die draag ik op mijn lichaam en voel me geaard en beschermt tegen elektro smog. De energie plaat en de stralingsstickers voor de mobiel zijn ook een aanrader! 5 Bioprotect card for protection against radiation. Kan het iedereen aanraden die gevoelig is voor aardstralen of andere straling zoals de Electro smog. 5 Bioprotect card for protection against radiation. Ik heb een kaart aangeschaft en in mijn slaapkamer onder matras gelegd en tot nu toe geen verschil gemerkt. Toch heb ik gevoel dat ik snacht bescheremd tegen straling en slaap beter. Uitstekend service en verzending was snel. Zeker een aanrader dit site. 5 Bioprotect card for protection against radiation. Ik draag de bioprotectcard onder mijn voet in mijn sok en het is een prettig idee dat ik nu beschermd ben tegen electrosmog 5 Bioprotect card for protection against radiation. Had de kaart al een half jaar geleden aangeschaft. Ben sinds de aanschaf Iedere dag geaard en ik hou alle straling op afstand. Kan weer goed slapen en geen zwaar hoofd meer. Voor mijn nichtje die licht autistisch is heb ik het kaartje ook gekocht ze had wifi en kon niet goed slapen. Ze slaapt weer als een roosje. De energie plaat is ook een aanrader! 5 Bioprotect card for protection against radiation. moeilijk te zeggen,toch heb ik het gevoel dat ik mij minder gespannen voel,na aanschaf van de BioProtect kaart. 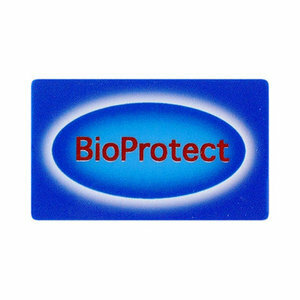 0 Bioprotect card for protection against radiation. 5 Bioprotect card for protection against radiation.